Fri, 11.212014. 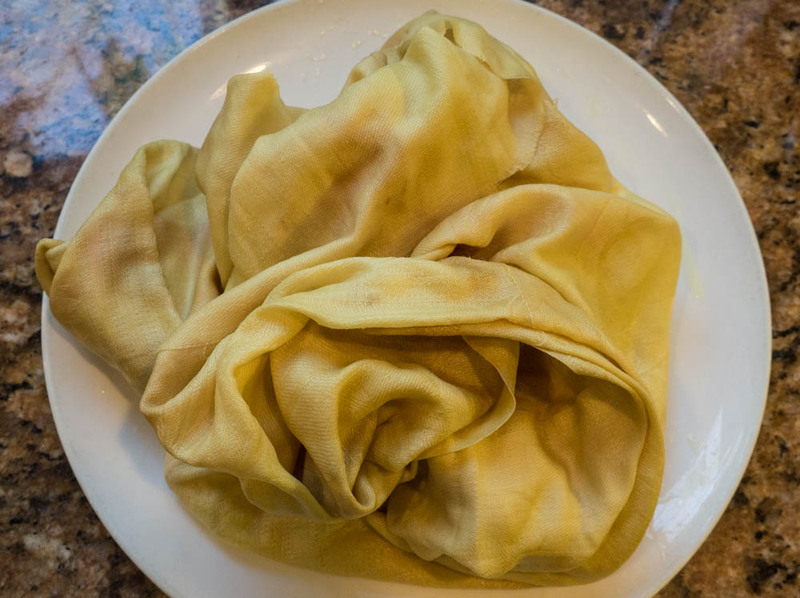 [continued from 11.19.14] Maybe I'm missing something, but my geranium-dyed cloth was ugly (photo below). I haven't quite developed the grunge or sewage treatment plant aesthetic. Call me middle-brow; call me midwestern. 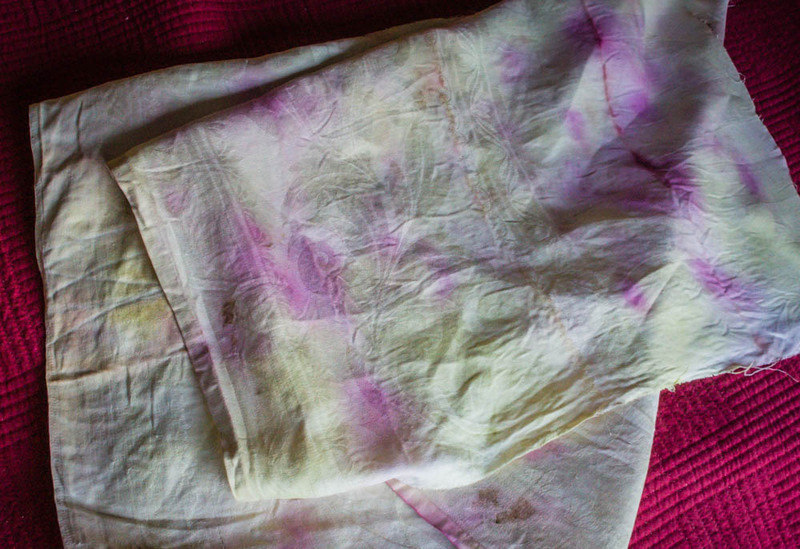 Since this fragment of tablecloth was not in fact rescued from a post-Katrina demolition, any story it has to tell will be fiction. My disappointment with my darling experiment could only be met with continuing experiment. So I stuffed the pox-ridden geranium cloth in a Ball jar and poured over a solution of 2 c. water and 1/2 t. 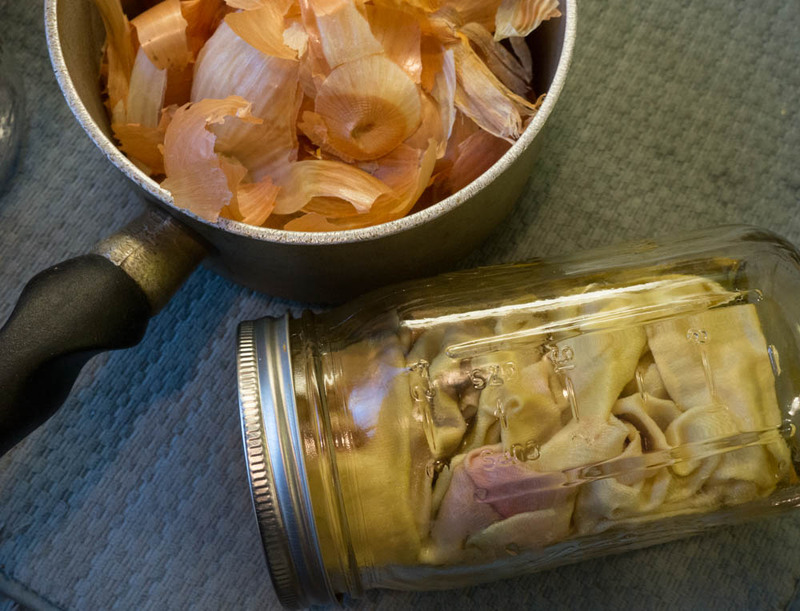 alum., while I was preparing onion skins for a new dye (see photo at top). 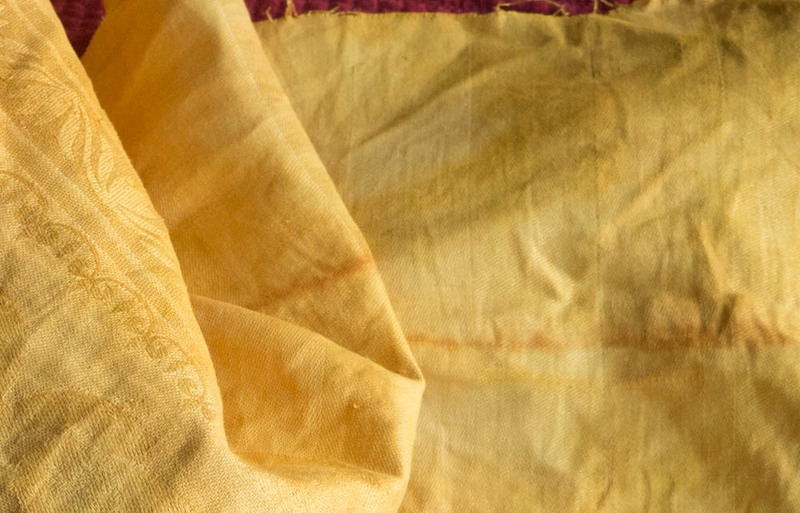 Almost immediately the alum reacted with the geranium imprint and the cloth turned buttery yellow. 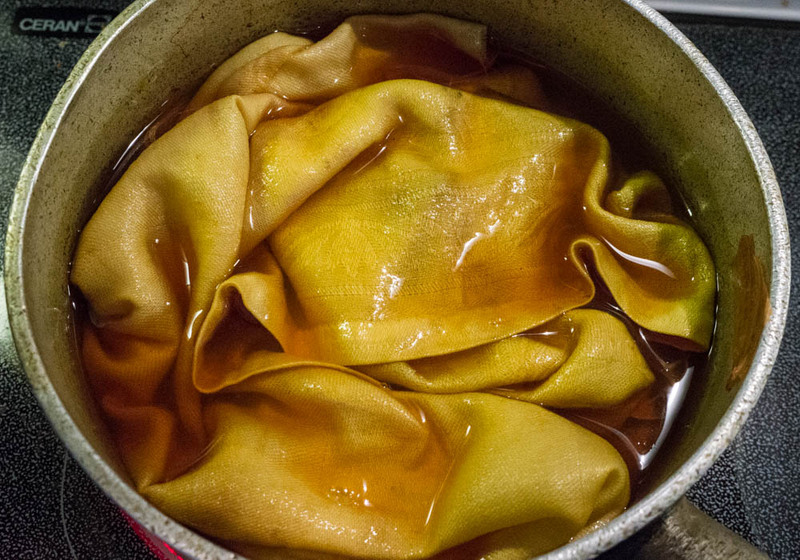 Photo below -- cloth after about an hour in the alum bath -- garish rash remediated, pow! I left it to "marinate" overnight. The results were lovely -- more mildly mottled, less toxic. (Photo below.) Only dark hints of the scarlet petals remain -- maybe too little for the true painting-with-nature textile artist, but it feels more usable now.